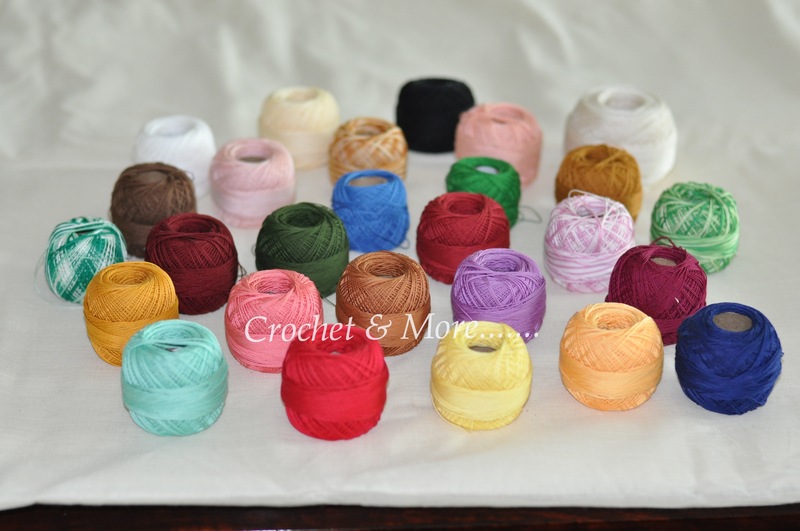 What is, an experienced Crocheter’s idea of Paradiso, could be a beginner’s nightmare….What yarn to use with which hook for a particular pattern???? Here I will try to introduce you to the basic varieties of yarn….As you already know or will discover , the available selection of yarn all over the world is too numerous and almost impossible to collate and present in one blog post. This is but a modest attempt on my part to make yarn selection easier for beginners to crochet. Apart from natural fabrics like Cotton, Wool, Silk, commercial yarn can come in Polyster, Acrylic, Nylon, Viscos….and a mixture of natural and artificial yarns. 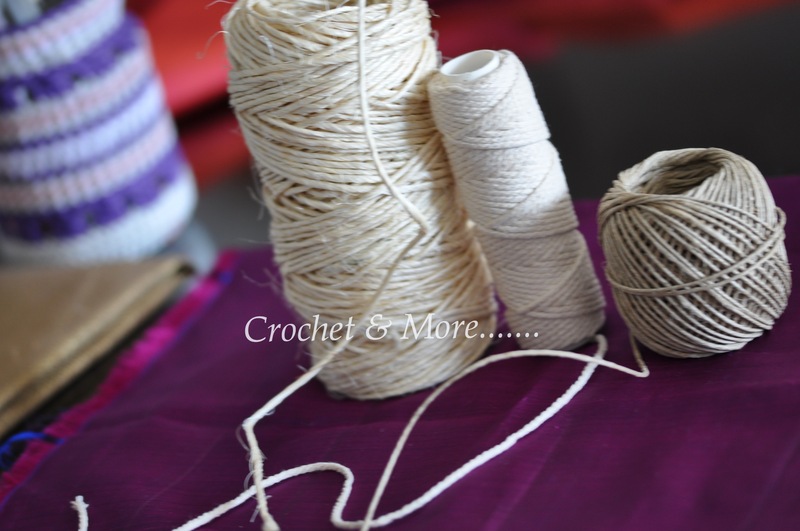 However….crochet is such a flexible art form that you can crochet with almost anything. 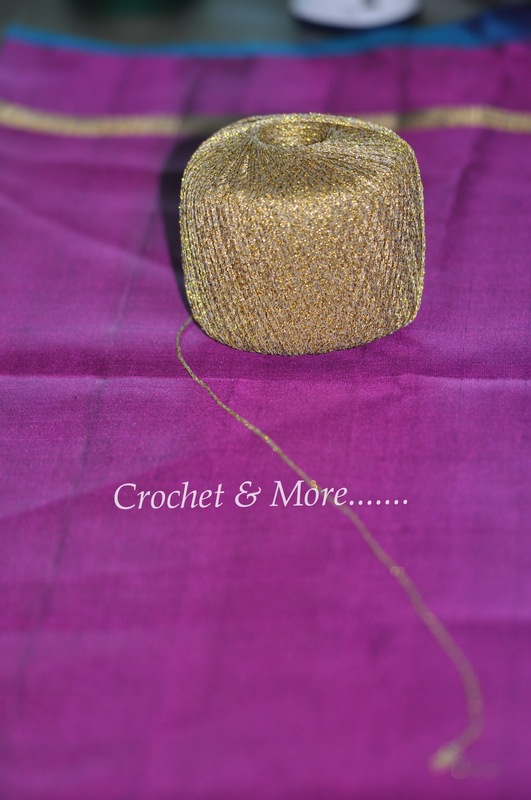 I have used Coir, Jute, Hemp and seen work done with plarn(ripping plastic bags into long strips, rolled into balls ), old bedsheets, T-shirts, dupattas, old sarees, skirts etc( that are also cut into strips and crocheted into mats, bags, etc). Recycling at it’s best. Twine,cord, wash line cords, nylon ropes, any of these can be hooked into very useful and strong baskets, bags, pot holders. 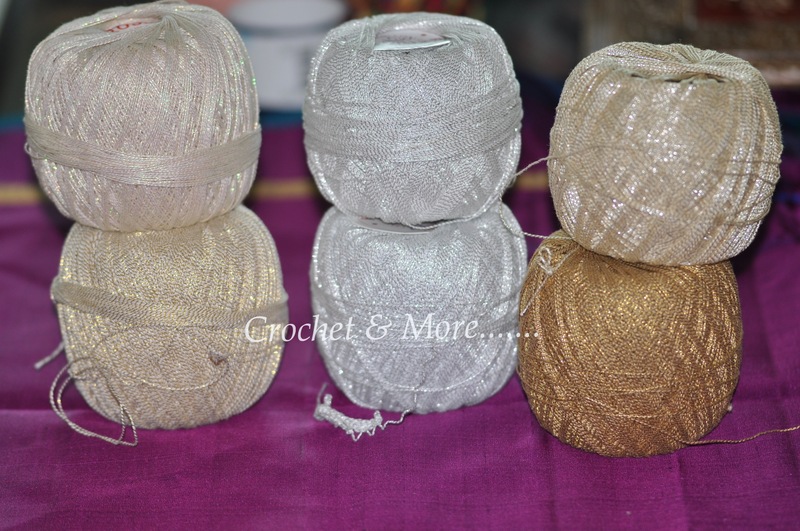 Flexible metal wires….be it aluminium, copper, silver or gold………(used in making jewellery) make beautiful crocheted jewellery and table accessories. 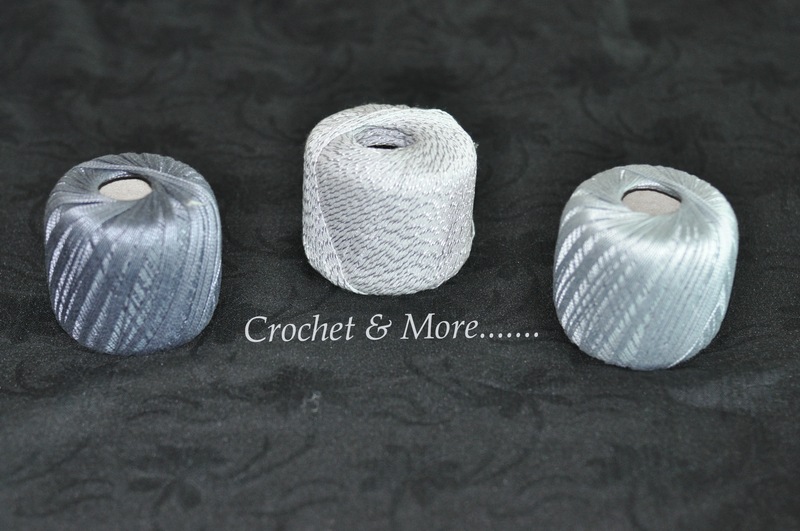 This post is about mainly on Cotton yarn……but I have added a few pics of other crochet able materials. Cotton is one of the best of natural yarns that can used in tropical climates. Good quality cotton yarn is easy to maintain, wash and comfortable to use. 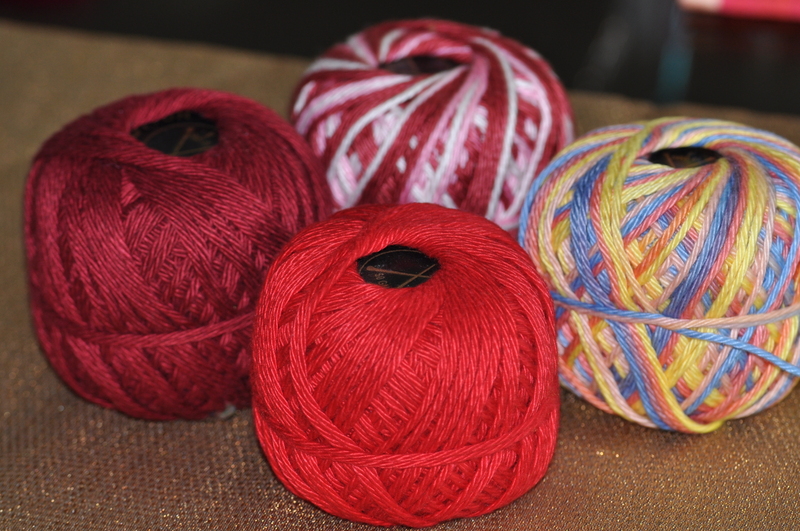 In India…..we usually get Laura cotton, Anchor, Red rose ….and assorted other yarns. 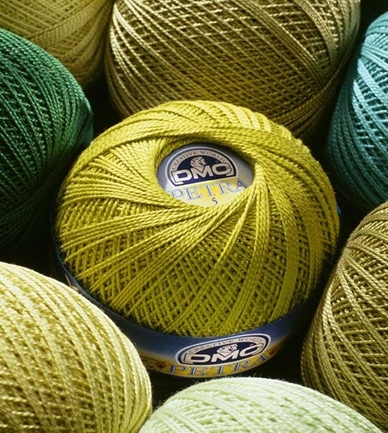 Outside India…DMC has a lovely and large collection of cotton yarn. So has the Korean yarn Soft Feather. Since I don’t know much about the cotton yarn available to the European and American Markets….I will leave my discussion to yarn that I have used. 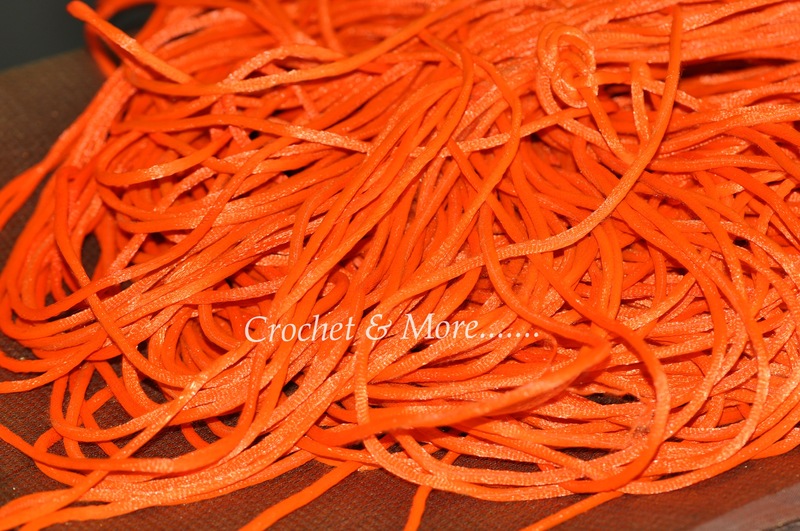 What is the difference between yarn and thread? Yarn usually comes in ply, and is usually thicker than thread…but there is yarn esp in wool …..Nako Kristal being a good example…..that is almost as thin as thread. Cotton Thread usually comes in numbers starting from #10, #20, #30,#40,#50, #60,#70,#80, #100 Here the thread becomes thinner and finer as the numbers go higher. For Eg: #10 is thicker than # 20…#20 is thicker than #30 and so on. 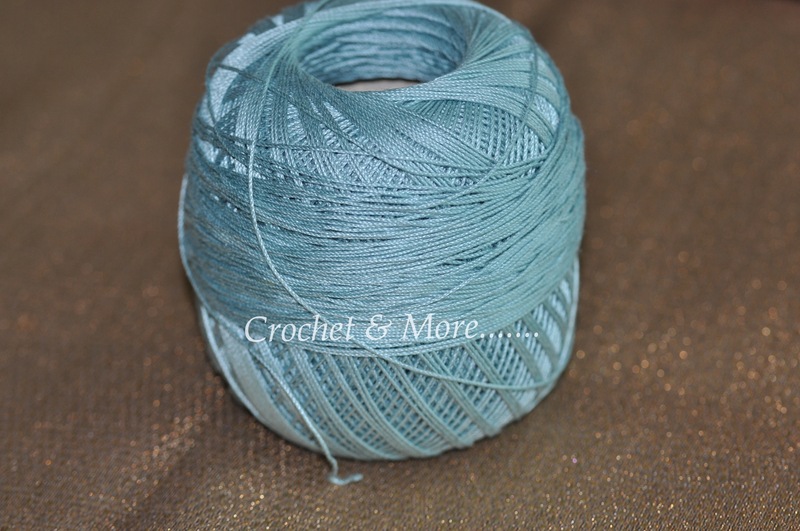 #100 is super fine thread and used to crochet very delicate lace,edgings etc. Numbers #30 and above are also used for tatting. I am mentioning, the hook size to be used, with almost every yarn here…but it is to be treated as a guide and not as a rigid rule. 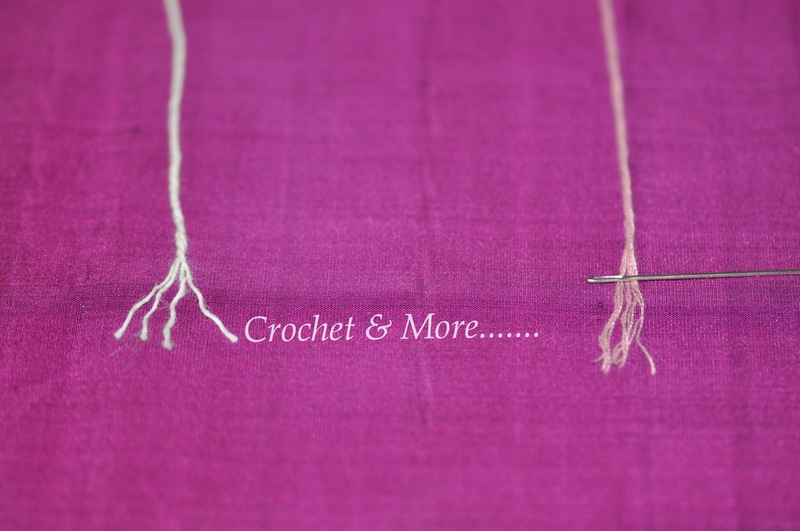 Again you may want to crochet Loose…in which case you must choose a hook size larger than the ones mentioned against each yarn or u may wish to crochet tight….where you will then to reduce the hook size by a couple of notches….to get a closely stitched pattern. #3 Pearl: Excellent for garments. Used widely in tatting and for fine pieces of lace and edgings, borders, trimmings, motifs, collars etc. Used widely in tatting and for fine pieces of lace and edgings, borders, trimmings, motifs, collars, Doilies, etc. Hook sizes recommended are 0.90mm, 1.00mm, 1.1mm, 1.25mm This yarn can be used to hook doilies, and anything that needs a lacey finish…I have made garments(though it is not very soft), Amigurumi, bags, purses( very pretty, but time consuming cos the yarn take time to hook up).In Anchor, this comes in 20gm balls and as you can see in the pic below….they come in a delicious palette of colors. Hooks sizes 1.5mm, 1.75mm. Comes in balls of 100gms. Very versatile…can use this one to hook up almost anything. Cotton yarn comes in various ply and thickness. 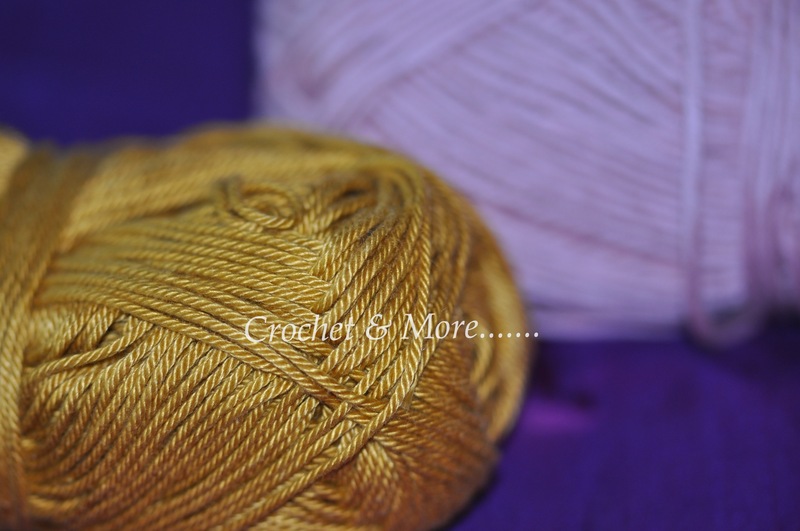 I will introduce you to the yarn that I have used and know of…this will give you a broad idea of what yarn to use. I will also indicate what hook to use with what yarn….This is not a hard and fast rule…..as you get more and more experienced, you will develop your own comfort zone in choosing hooks to certain yarn. Cotton yarn is thicker than cotton thread and most times much more softer…it is very good for making apparel, bags, baby clothes, dish cloth, blankets, anything that requires thick yarn…..and it works up very fast. yarn usually comes in ply. Ply simply means that when the yarn is spun it is spun by twisting 2/3/4/6/ 8/ etc strands of thread together…….For e.g. : if the yarn has two strands of thread spun in …it is called 2 ply. If it has 6 p strands spun it to make it ..it is called 6 ply. A common mistake to make is to assume that since , 6ply has 6 strands it will be thicker than say a 2ply. this is true only if the individual strand in the said 6 ply and 2 ply is the same. If the individual strand in the 6 ply is very fine then naturally the 6 ply will be thinner than a 2 ply that has much thicker strands spun in. In India, we usually get knitting Yarn from Anchor, Laura And Red Rose. Of these Laura is the thickest and is to be hooked with a #3.00mm hook. Anchor is slightly thinner with a sheen to it….Can use 2.5mmm and red Rose is almost like #10 DMC Yarn…Use hook !.75 with this one. 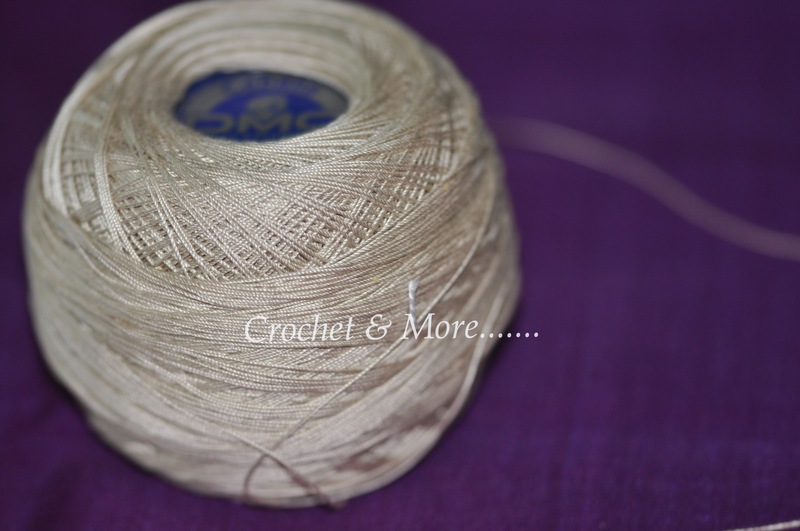 This is an unusual find…..this lovely beige cotton yarn is from India…it will be excellent for apparel….soft, with a lovely sheen to it and easy to hook. Unfortunately only for export. Hook size depends on the width here…I would use a 3.00mm for the orange and green yarn and a 4.00mm for the broader purple shaded one. 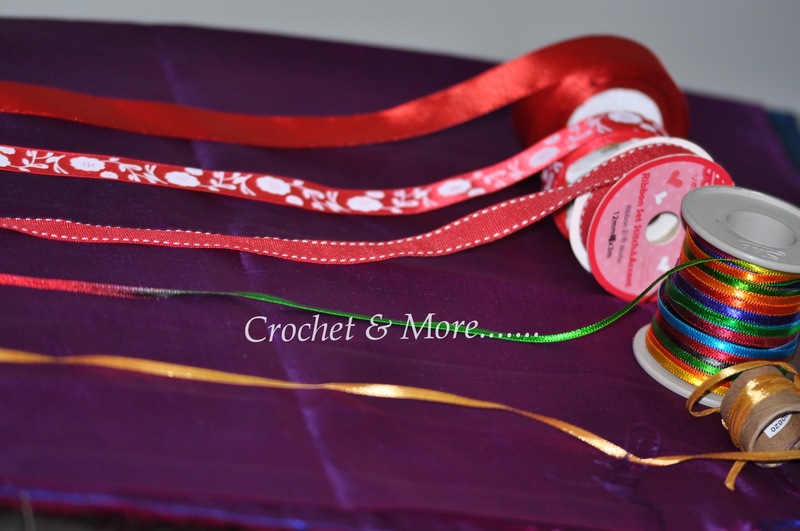 Below A Metallic Silver Georgette Ribbon….Use 8.00mm or above….. I do hope that you have found this post useful….do tell me what you think of this one…if you have information on cotton yarn, that you think can help make this article more helpful….Pls do not hesitate to let me know. If you can share pictures with me that would be great….I will add them to this post and credit you for that info. Adios Amigos..For Now…Until Next time…Huggggggs!!!! thanx for explaing such minute things so simply. You can buy Cotton yarn in different varieties from the online store in Mumbai Pradhan Embroidery Stores. I think you can get , twine and jute at any hardware store….that is where I got my twine, cord and jute. Madhura Coats…as I live in the UAE…that is where I bought it from…Perhaps you can google and find out where the company is..
:-))….Gald to hear this Radha…! This has been amazing help! 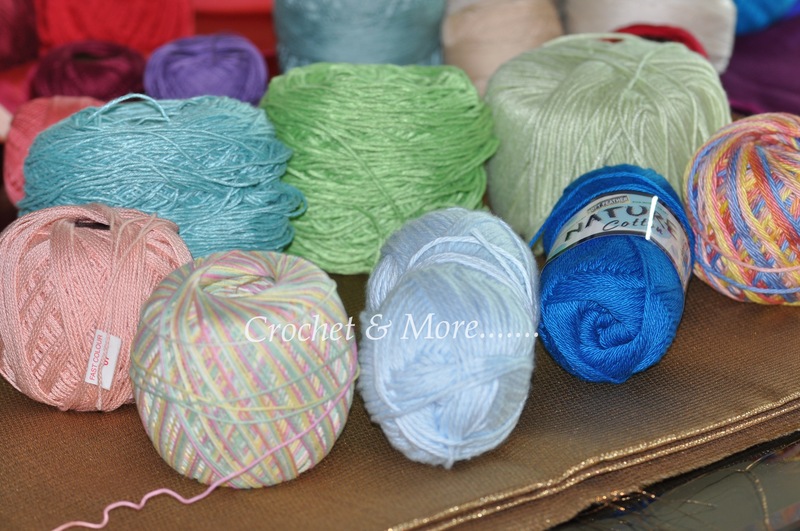 I have a question: Where did you buy the cotton yarn that is in the pic where you show the 4ply and 10 ply in India? The pictures preceding that also show very good quality. I haven’t seen that anywhere in Bangalore. Hello Arabhi…..that yarn was bought in the UAE…I live here…not in India. :-))….#3 and #5 are available at Pony….but over priced….when compared to the price I pay here…in the UAE….but I don’t know the quality that you get there…. very very great information about the threads n needles ,thank you. it is very helpful for the bigenners. 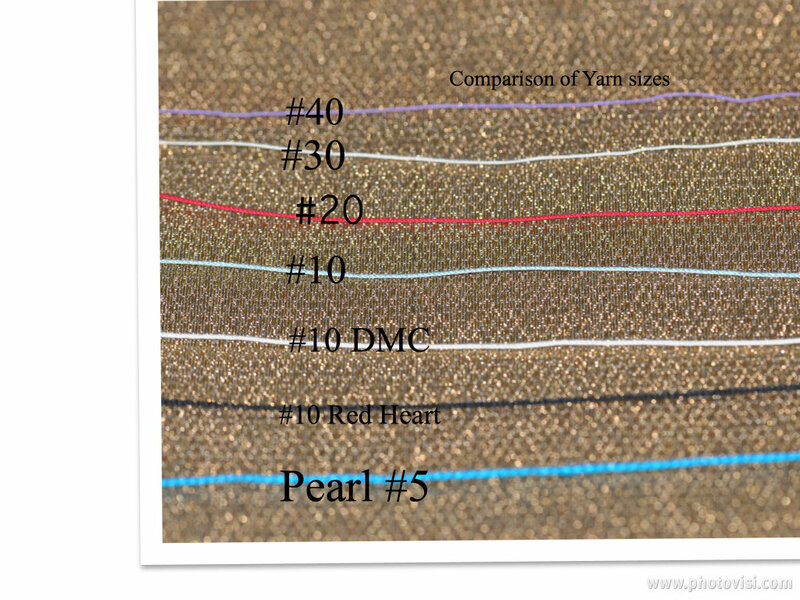 thanks for info.. can u pls give comparison to #3 yarn to any of the one avail in india.. laura, red heart or anchor..
Lakshmi….In India we don’t have a comparative thread to #3…at least not to my knowledge. Thanks for this wonderful article. It helped me a lot as I’m a beginner. One question, so far I’ve worked with only acrylic 4 ply(I used your technique to find out the no of ply) 25gms which we normally get in any craft shop in India. 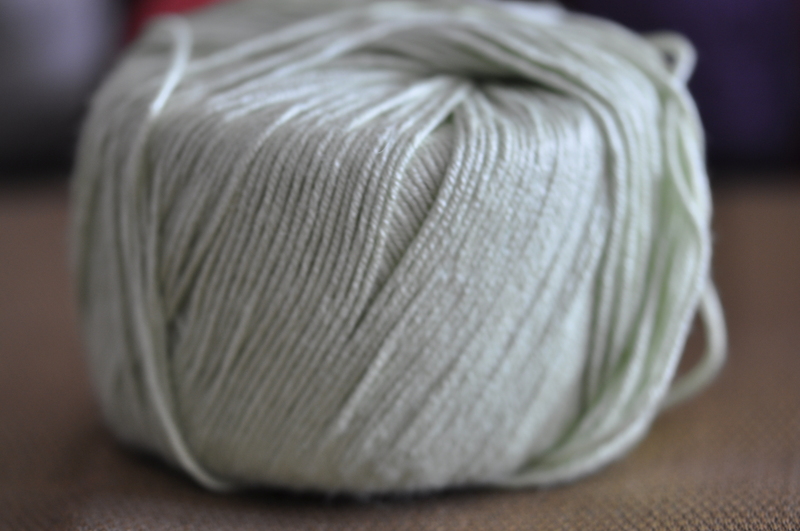 I’ve been using hook size 3.25mm to 4.50 mm.What do you think is the durability of this yarn? It says “Spun from Imported Acrylic Fibre”. Is it suitable for dresses? Thank You for your feedback on my blog post….It is always encouraging for me when I know how useful, my post has been. 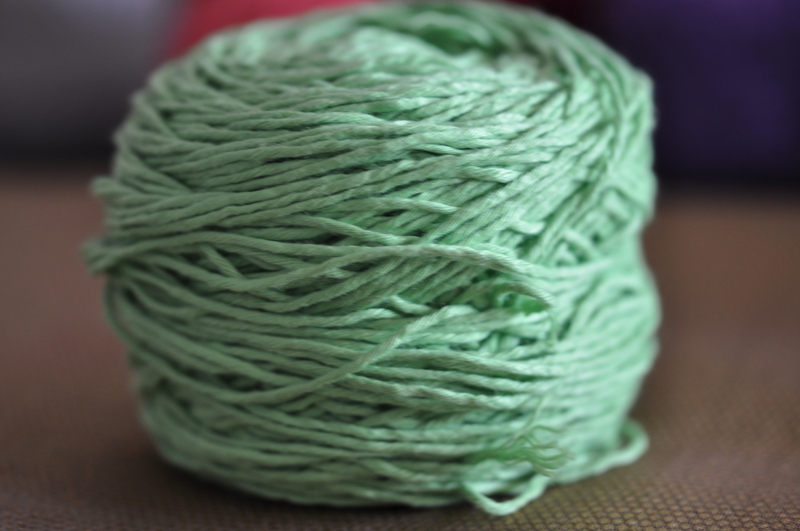 About the durability of acrylic yarn that would depend on the manufaufacturer. For example Gangaacrowals…is a very good Indian yarn manufacturer for woollens and acrylics….You can also buy yarn from online stores like Pradhan Stores( I get it from them) or Pony Stores which sells very good turkish yarn….their acrylic collection is the best. they are both on FB. Hope this helps.Acrylic is very good for dresses though my personal preference is cotton…. 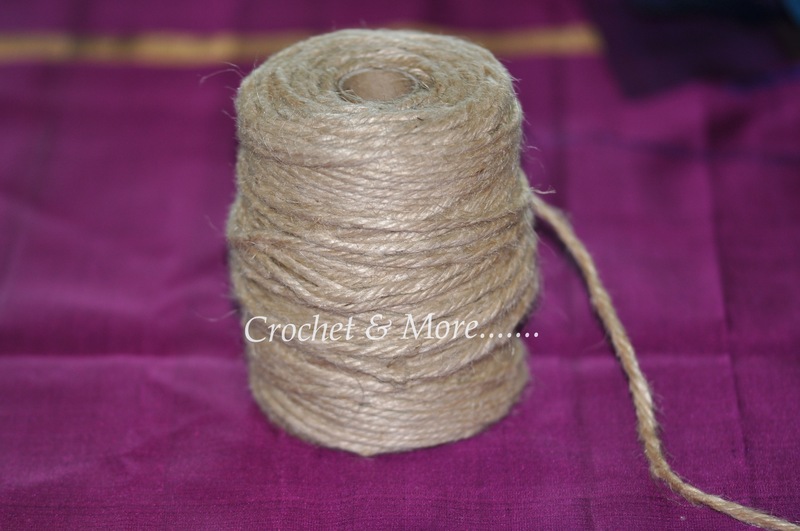 Hello where can I get aunt Lydia crochet cotton thread #10 or20 in bangalore or any where in india. Hello Jaya, I don’t know anyone who sells Aunt Lydia Yarn in India. Couldn’t leave without mentioning that you are a lifesaver 🙂 thanks a ton!! 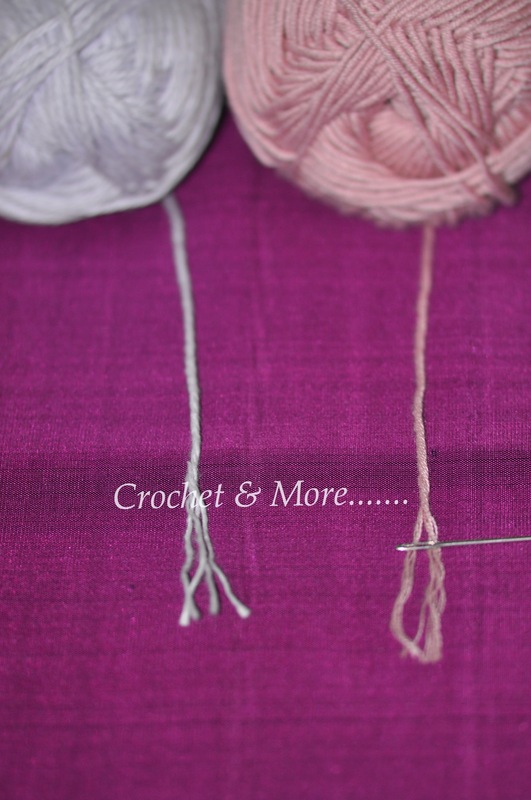 Carol….4 ply is usually yarn and #10 is thread…..The easiest way to know the difference is to try and separate the yarn not 4 strands at the beginning …..You can’t do tat with thread cos it is very thin…. Could you Please let me know which cotton thread it good to make beautiful doilies. Thank you I would greatly appreciate it. Depending on the pattern you can do doilies with #10, #20 #30 and #40…..The more daintier and lacey the work the thinner the thread you need to use…..that is higher the number….Here #30 and #40 will give you very fine work, #20 can be used for most doilies…. can u pls help me which nos hooks to use for yarn and cotton thread……. Jayashri…..If you go thru the post you will find that I have mentioned the hook numbers that can be used for thread and yarn…but this also depends on the pattern and the tension that you crochet with….If you have any specific threat/yarn that you need to know what hook to use…pls send me a message with the pic of the yarn on my FB page Crochet & More….you will find the link in my blog….and I will try to help you. 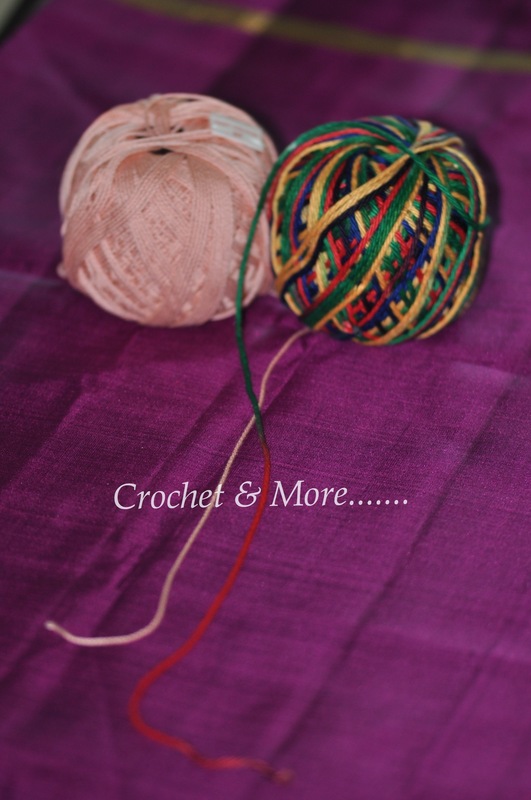 sure.. thanks a lot maam :_) where i can get yarn n thread in mumbai if u have any idea pls let me know…. I want to try muffler which thread /yarn will be best pls suggest me thank you. Hello , i also live in harjah but i didn see jute And malai dori , can u pls duggest where to buy these yarns . Thank u . Also would like to have communication wid u . If u have fb page ? I bought Jute from Ace Hardware, the Malai Dori I got from India…there is this online store called Pradhan Mumbai…they are very reliable. 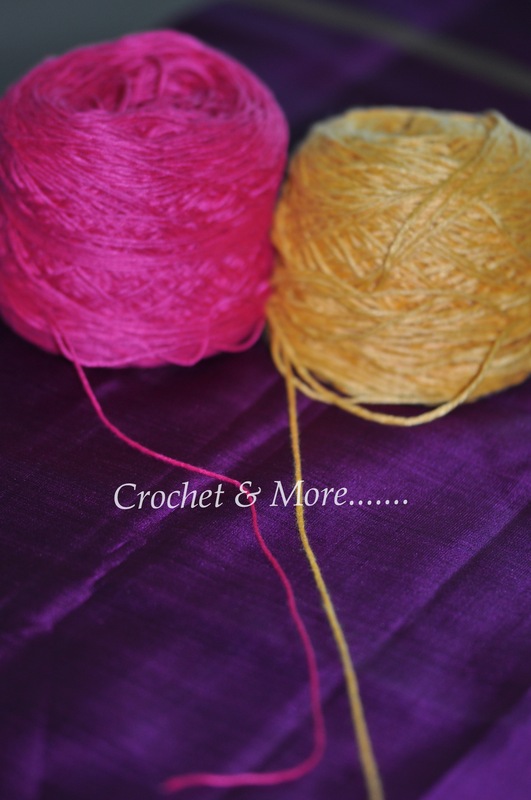 My crochet page is Crochet & More….If you check the top of the post you will see the link to my page. Glad you found this post useful Sandhya. Thanks for the great post. I wanted to make doilies with threads. But as I had to buy them online, I wasn’t sure how the size of nylon thread can be compared with the cotton thread crochet. I wasn’t sure to go for nylon size 2 or size 18. Then someone told me that cotton thread size 10 is similar to nylon thread size 2. Is that so? Could you please give me a hint how the sizes can be compared as I have to buy these online. 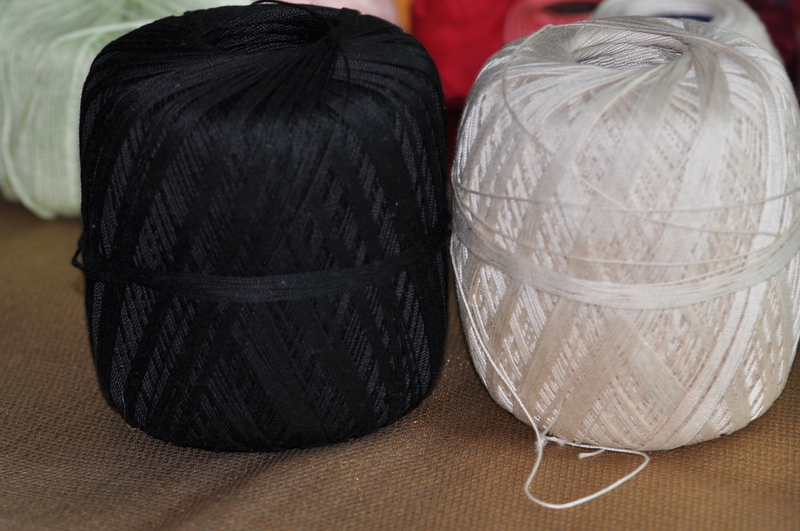 I am not familiar with the nylon thread that you speak of….here we get nylon thread in two sizes one is slightly less the #10 and another is just like #10…but yo can ask the owner of the online store as to how thick the thread is…Sorry. Thanks for such an informative post. I was always wondering what the different types of yarn are. Are all these yarns available in India? A lot of them are available in India…..and most of them are available online. u r a lifesaver.Im a newcomer to crochet.have made bags etc frm acrylic yarn 4 ply.i want to use cotton yarn for my projects.where can i find it.coz i see cotton thread everywherebut not the 4 ply cotton yarn.and if i have to make scarves or clothing which crochet thread shud i use?plz plz can u guide me on that. thank u sooo much in advance. Hello Neeraja….First let me apologize for my tardy reply…I have been traveling for these past 6 weeks. You haven’t told me where you live…but if you live in India you can order from Pradhan Embroidery stores…he has a FB page. This store is in Mumbai and is the best online store in India. Usually 4 ply cotton available in India is Laura Knitting Cotton. It is excellent for bags, rugs, coasters, scrubies, coasters, blankets, Afghans etc…..some ppl make clothes out of it as well but I like the lacey look as far as clothes or garments are concerned. 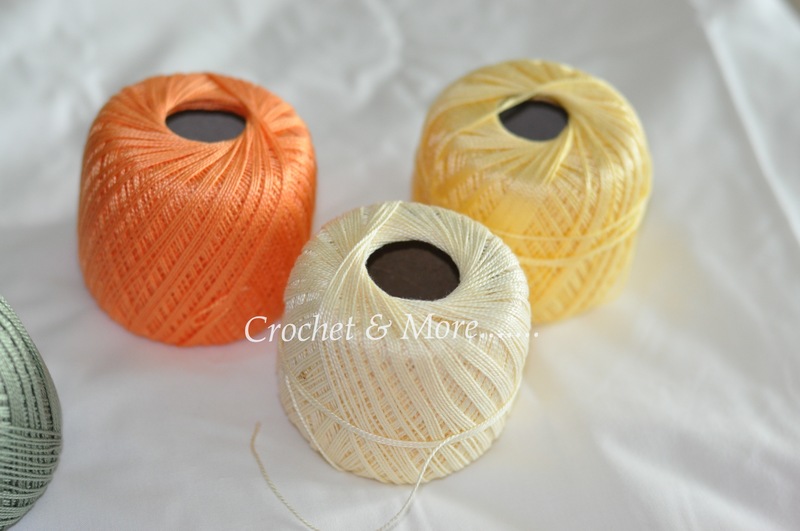 You need to be careful though….cos some Laura colors run….You can also get Anchor Knitting cotton and crochet using double thread….That is use 2 balls of Anchor knitting together while crocheting to give it bulk. Anchor Knitting is very good for all kinds of bags, purses, Afghans, Bedspreads, etc….used in Single thread it is great for scarves and some clothing…..For cotton clothing I suggest that you use Red Rose Knitting Cotton. I would also urge you to check out Pony Stores …They too have an FB page…and their yarn section is very good….they have some Turkish cotton yarn…Their website is very good…but many of us have had a very bad experience with their service…..but check them out you may be few of the lucky ones. All the Best Dear. 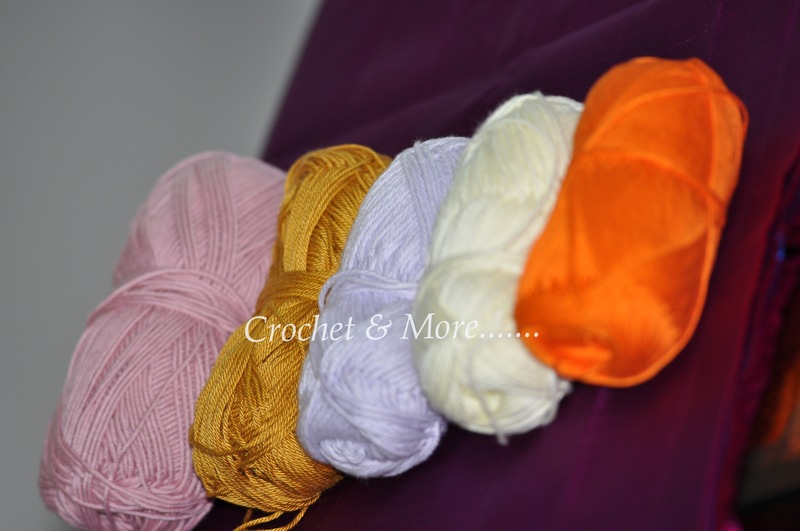 Where can we get this ‘beige cotton yarn’ in Dubai? Wow…so beautifully explained.You have taken such great pain to explain everything in so much detail.Thank you so much….my crocheting life is going to be bliss now. Thank you for explanation. Enjoyed understanding the yarns and needles to go with each. Glad that you found it useful Rajam. Hello Mam, am a beginner in Crochet, learning to make stuff for my new born. The patterns I see calls for worsted weight yarn category (4) as per U.S. term. 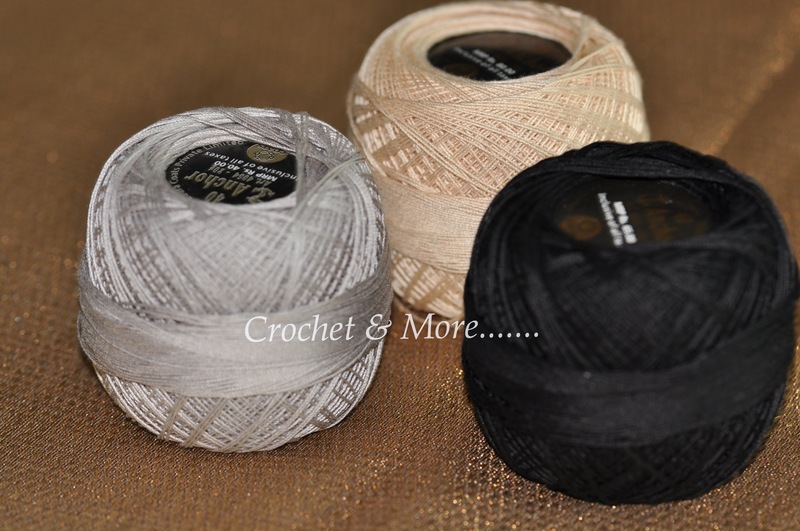 When I searched for similar yarn in Pradhan online store I see Acrylic 4ply & 8 ply.. Can you pls tell me what is the Indian version of worsted weight yarn. thanks for providing such great info & am bookmarking this page. You have a great blog!! As far as I know in India we do not have an equivalent to worsted yarn. 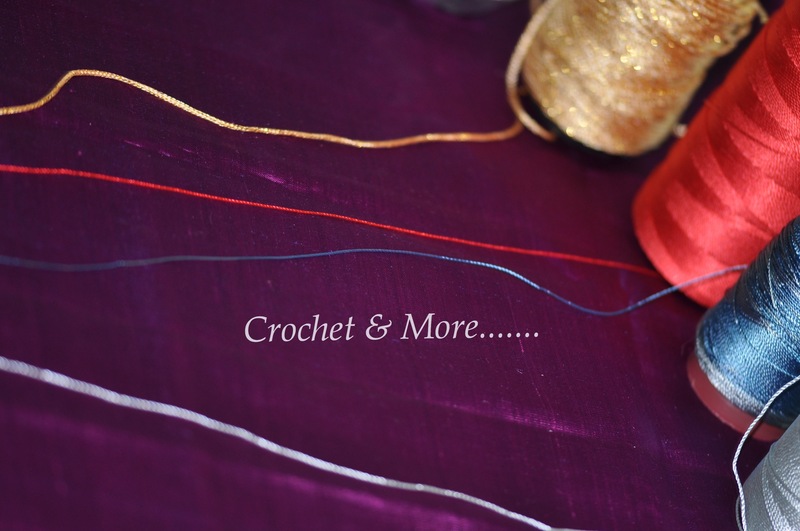 Since I don’t crochet with wool and acrylic much nowadays …there may be something new…so please check the FB profiles of 2 Indian online stores that we have, Pradhan Mumbai and Pony Stores. IF you ask them they will guide you. I have seen a lot of crocheted purses at retail stores that are made with cord/thread that says the cord/thread is 72% cotton and 28% olefin. I have tried and tried to find that type of cord/thread to buy to use to crochet purses for myself. But I cannot seem to locate it anywhere. The closet I have found it nylon thread, but nylon thread is twisted and this type of cord/thread is not twisted or braided. It has a shine to it too just like nylon thread has. Do you have any idea of what that type of thread/cord is called and where I might find it to buy some. I wanted to include a picture of a purse that I found as an example to see, but I can’t paste a copy of the picture in this reply. Sorry for the delay in replying Julia…I have not been very well. 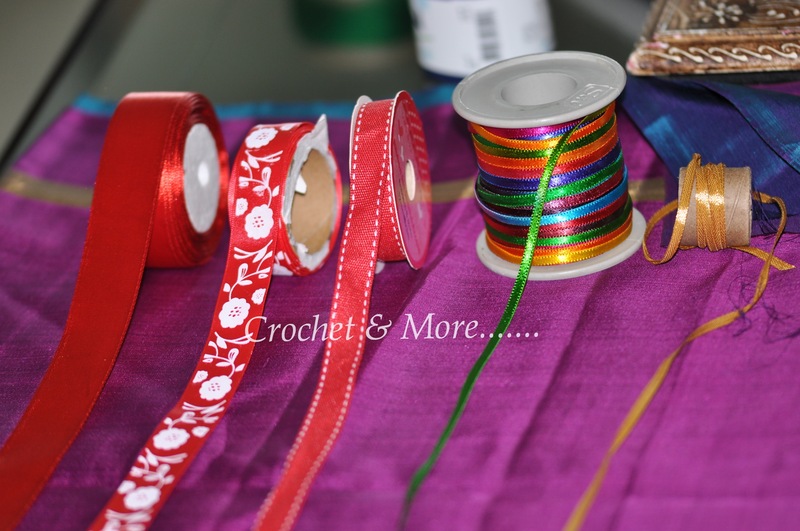 In India we make bags and purses with something called purse thread….It’s a mixture of nylon thread with cotton. It works very well in patterns and looks great because it has a shine to it. I have seen a finer variety of this same purse thread from Korea….but have not seen the thread that you write of. Thank you for such a good explanation of cotton yarns and threads. I acquired some cottong threads from older relatives and as I don’t crochet I wanted to use them to knit Barbie clothes. It is helpful to understand the different threas better to create something. Hello and thanks for the great explanation. 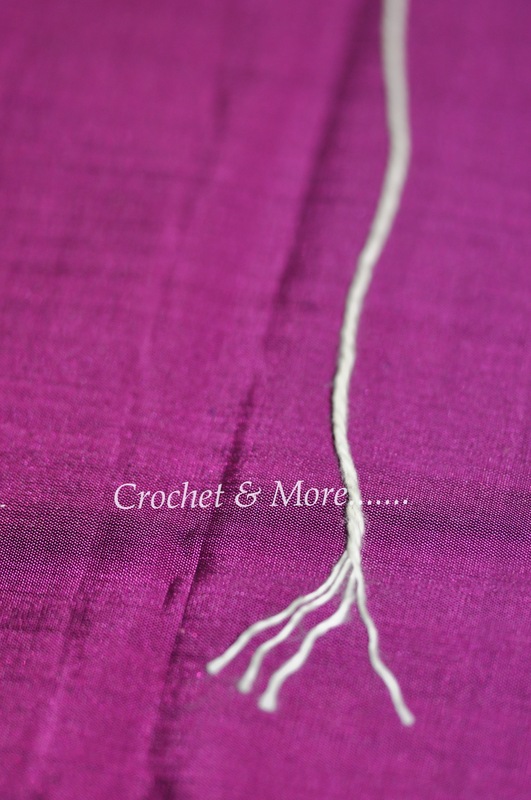 I would like to know where can I find the broader purple shaded yarn in Abu Dhabi? and do you think it is strong and stiff enough to be used to crochet a moses basket crib? Hello Nano, I bought it at Daiso in Mushriff Mall….But that was some time ago.. It is not stiff at all…most likely used for those ruffle scarves..
excellent compilation of yarns available in India,thank you very much as I was having a lot of difficulty in understanding the numbers that went along. Hello. Thank you for such an informative post. If you don’t mind, can you please tell me which company in India carries products similar to Aunt Lydias Classic Crochet Size 10? It will be of great help. Thank you once again. Hello Arshi Sheriff…I am glad you find my blog useful.The closest we have to Aunt Lydia’s #10 is Red Heart. If you can’t find it where you live, Pradhan Mumbai an online store has it in various colors. Aunt Lydia’s is slightly finer…but Red heart works well as a substitute. Really miss you in PAC..When are you coming back dear? Thanks So Much…Hugs! Sorry Dear I have no idea where to buy hooks in Vijayawada…but I know that you can buy them online..Pls try this link..http://www.pradhanembroiderystores.com/category.php?cat_id=62He is ver efficient and reliable All the Best! Your gauge will be very off if you use Anchor Knitting cotton which uses a hook of 2.5 – 3mm; If you are using Anchor cotton #20 then you will be using an even smaller hook. 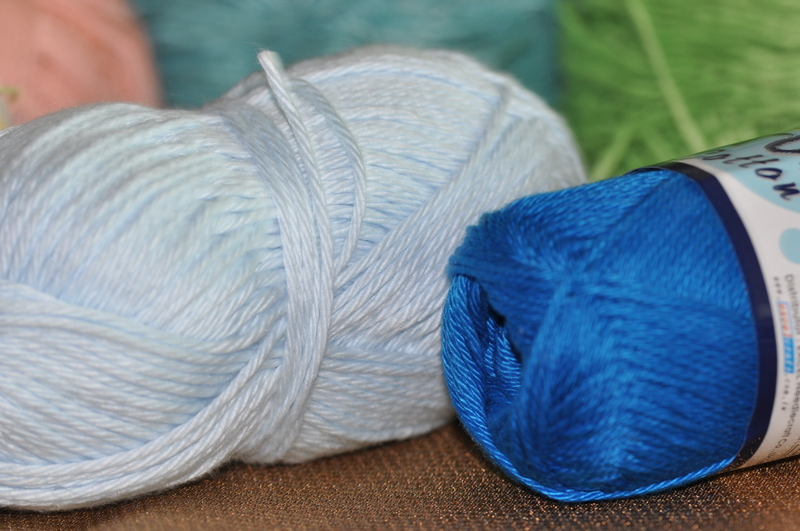 My suggestion is to use acrylic yarn …with a size 3.5mm – 4:00mm hook…to get the correct gauge. If you can talk to the online store Pradhan Embroidery store..Pls google their website or google Pony Craft Store they will help you out with the correct acrylic yarn to correspond with your pattern..since acrylic yarn even if it is 4ply can be of varied thickness. THANK YOU for this article! The pictures really helped me gauge the sizes that I needed! I am glad it has been of help Dior….Thanks for the feed back. Hi there! Awesome info here and thanks a bunch!! And anchor knitting Cotton. Which is thicker? Thanks for the feed back and the appreciation…:-)….That really helps. There is only one kind of Anchor knitting cotton…..4 ply simply means 4 strands of thread twisted together to form one single thicker strand. 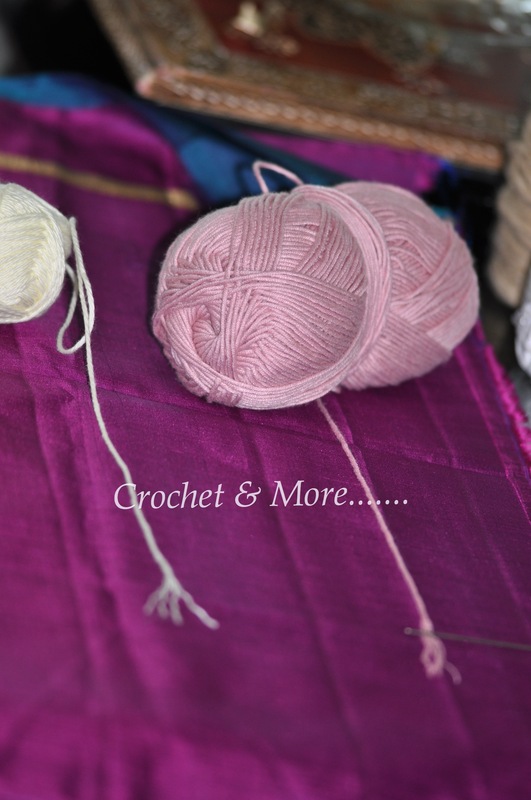 Pradhan has simply elaborated on the natural composition of anchor Knitting cotton. You can use a 2:00mm to 3:00mm hook for this yarn/thread. I love your metallic yarn but there is nothing in the comments about the brand. Can you please name all of the brands in that picture? 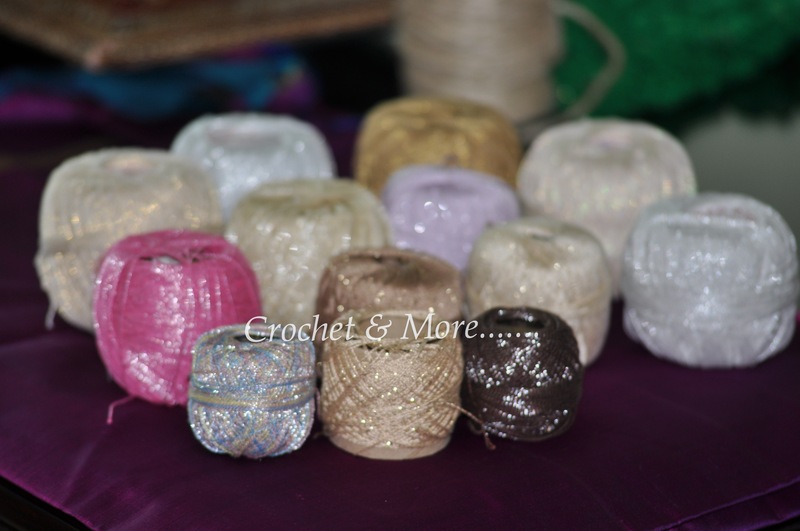 Metalic yarns in India are available from the company Red Rose. 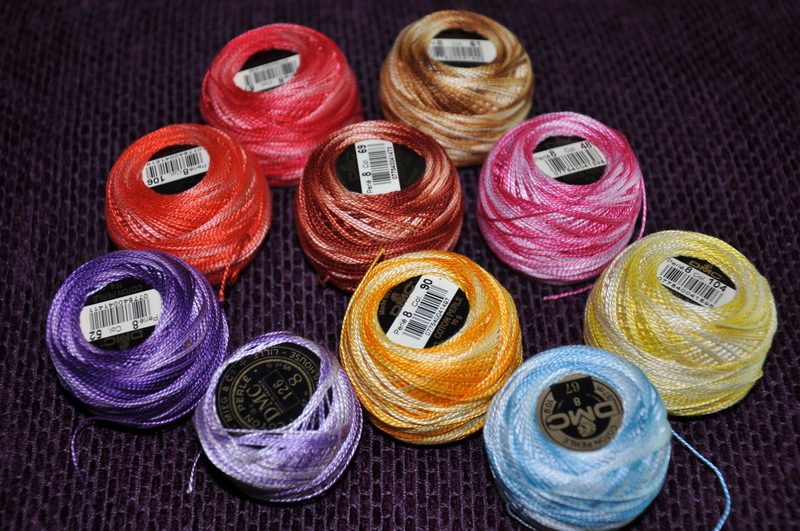 There is another company known as white rose..that supplies metallic yarn….I haven’t tried that one out. Then in international brands…DMC metallics are lovely. So well explained!! !cleared my doubts on the thread and hook size. 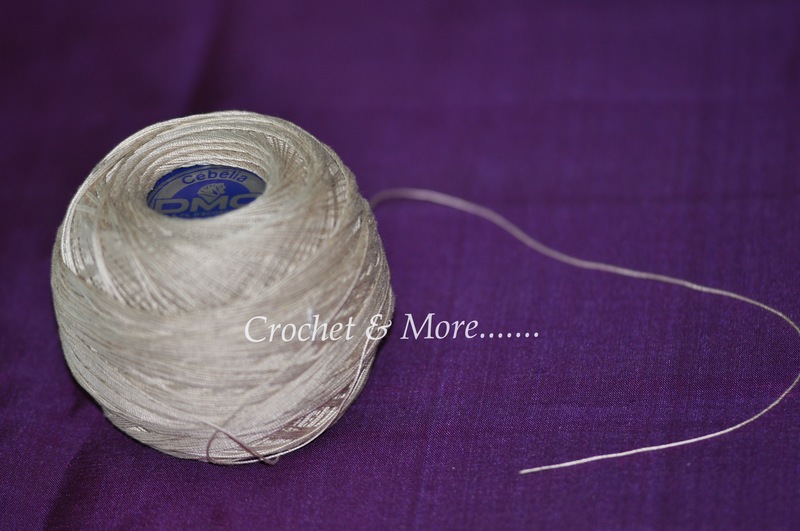 Thanks A lot Sanya….in Dubai….Satwa has a lot of tailoring shops where you also get yarn and thread for crochet. Then you can try Mcgrudy’s in any Mall. 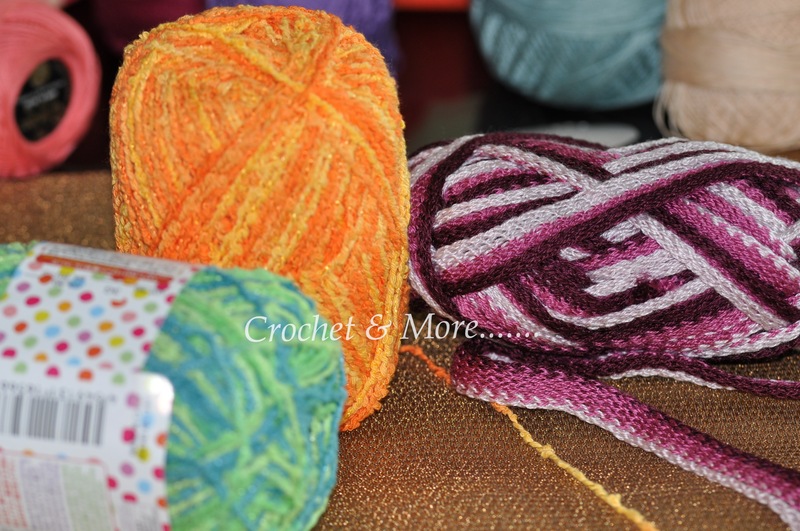 Craftland in Town Centre Jumeirah is another place. I am re-learning to crochet after not doing so for a long time, and want to do some projects with thread but I had no memory of the sizes and what they all mean. So I am most grateful for your wonderful info here. Thank you! I want to use size 10 thread to make a round tablecloth that calls for size 20. The reason I want to do this is to hopefully increase the diameter of the tablecloth from 49 inches to 60 inches. Do you think this will work? Yes it will provided you use a bigger hook…I usually use a 1.5mm hook for #10..but you can also go up to 1.75mm. try a sample gauge of the pattern and see which one gives you the size you want. Hi From where I can order laura cotton yarn.